This house is no longer standing, and Auburn Street is no longer in existence, having been wiped out by urban renewal. It used to be in the North End, I think that a small part of it is now known as Magaziner Place. 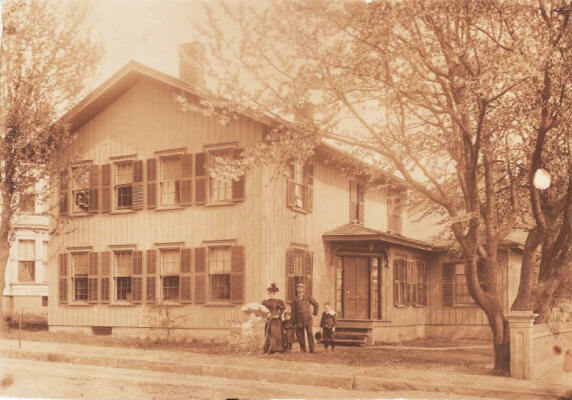 The house is identified as "Margaret E. and Oscar E. Buell, with their children Edward, Alice and Hattie."